I’m very bullish on AngelList’s role in the metamorphosis of the venture capital business. I think they are the new Rome of tech startup venture capital, because “all roads lead to it”. Whether you are a startup raising or planning to raise money, or a venture capitalist looking to invest in startups, you probably won’t complete your next transaction without some discussion at least, about whether AngelList is part of it or not. I was first introduced to AngelList in December 2011 by Fred Wilson, as he gave us his first investment commitment for Engagio. He introduced me to Naval Ravikant, who asked me to register on AngelList to get the process going. But what is not known, and I’m revealing now, is that was after Fred wanted to raise for Engagio on AVC.com, but he abandoned that idea after consulting with his lawyers, because that would have been a violation of the general solicitation rule. Fred later revealed his commitment in an Engagio follow-up post, after it was made. So, when I went on AngelList, I was naively disappointed that I couldn’t actually complete the financial transaction on it. That was my first question to Naval, to which he replied that I’d have to close the deal the same way as before, but to use AngelList to take introductions. Bummer! The only thing missing was the completion of transactions on AngelList, which is where we are today. I might be stretching the analogy slightly, but I believe that AngelList is the modern Stock Exchange for venture capital. It has investors, companies, transactions, and liquidity. Betaworks jumped on the opportunity by announcing Openbeta v2, an evolution of their Openbeta program with an added bridge into AngelList. Betaworks and Tim Ferris were among the first using general solicitation to ask crowds for investment in Shyp. Shyp ended-up raising the entire $2.1M round on AngelList, after Tim Ferris wrote a cookbook post on how to announce participation in a deal on AngelList, in You’d Like to Be an Angel Investor? Here’s How You Can Invest in My Deals… They even found their co-founder Jack Smith on AngelList. Naval Ravikant of AngelList offers investors a reminder about being informed and educated, in AngelList CEO Says Being Accredited is Not Enough. Chris Dixon of Andreessen Horowitz has 7 Thoughts on Startup Crowdfunding, warning that great care has to be taken to evaluate founders without in-person meetings. Fred Destin of Atlas Ventures toasts AngelList as the Sandinistas of the revolution, in Viva La Revolucion! Angellist goes into hyperdrive. Jason Calacanis of LAUNCH displays his rational exuberance, saying this will change the venture capital world “a lot”, in The Great Venture Capital Rotation. Howard Lindzon of Social Leverage is more skeptical about joining an AngelList Syndicate himself, in So You Want to Angel Invest…Be Prepared to Lead and Follow. Mark Suster of Upfront Ventures takes a balanced view, weighing some pros and cautionary outcomes of AngelList Syndicates, in Is @AngelList Syndicates Really Such a Big Deal? Hunter Walk of Homebrew believes that AngelList Syndicates Will Also Pit Angel Against Angel, which is a reality of them showing-up with more money now. Fred Wilson of Union Square Ventures reminds us that any AngelList Syndicate lead will need to “do the work” that a traditional VC does, in Leading vs. Following. 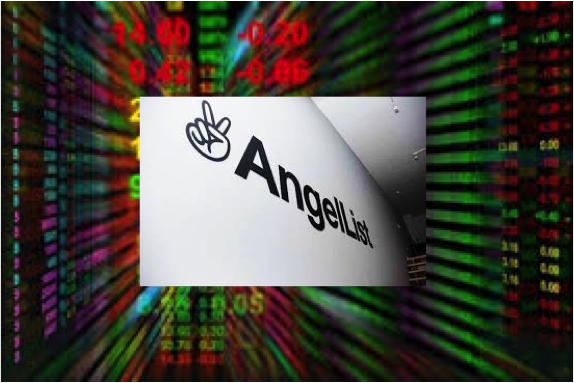 Semil Shah of Haystack has an extensive analysis with 13 points, in Some Thoughts on the Big AngelList Deal. Dylan Tweney of VentureBeat cites the case of TechShop announcing their raising of $60 million via a press release, in JOBS Act will trigger growth in the innovation economy.